The majority of small businesses would like to offer health insurance to their employees as it allows them to attract and retain high-caliber talent. But the expense involved can be a major constraint.The National Small Business Association's (NSBA) 2015 Health Care Survey found that only 41% of firms with zero to five employees offer health care benefits, down from 46% a year ago. 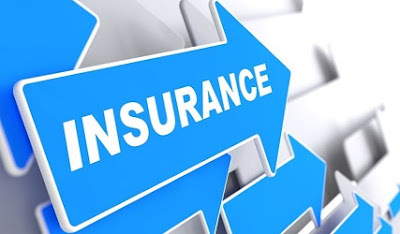 The situation is slightly better when all firms with less than 500 employees are considered with 65% of employers in this category offering insurance benefits. Rising costs and the complexity of the health care system are among the reasons for the reluctance of small business owners to provide this essential benefit. But it is possible for companies to reduce their expenses on insurance. Check out group insurance vs. the cost of individual plans - The age profile of your employees and the pre-existing conditions they have will determine which of the two options is more economical. A group rate may be cheaper as the premium you have to pay is based on the rate applicable to people with the same demographic profile. You will be better off with this option if your employees are more susceptible to chronic diseases. On the other hand, staying with individual plans may cost you less if each of your employees attracts a lower premium. There is no simple formula to determine whether a group plan or a bunch of individual plans will save you more money. The best way to find out is to ascertain the insurance premium payable under each option. If you are of the view that you don't have the number of employees that are necessary to qualify for a group, don't worry. Even two employees are enough. Remember to negotiate - Many small business owners think that the annual premium figure cannot be lowered. But this is not true. Health insurance premiums can be negotiated, especially by firms that have between 50 to 99 employees. When an insurance company raises rates, they usually refer to the fact that all the employees have become a year older. Employers should point out factors in their favor. They may have implemented an extensive wellness plan in the last 12 months which could have resulted in healthier employees. Some older employees may have retired or resigned. Brokers can play an important role - Don't underestimate the benefits that health insurance brokers can bring to the negotiating table. They would be aware of the latest developments in the various laws and regulations governing the health insurance industry. They would also have extensive knowledge about the various plans available with different insurers. You may be eligible for tax credits - Raise this point with your tax consultant. Employers with less than 25 full-time employees who earn an average of $50,000 or less are eligible under certain conditions. These include contributing at least 50% of the total premium cost and obtaining coverage through the Small Business Health Options Program (SHOP). Bringing down health insurance costs should be a prime concern for every private firm. According to the findings of the NSBA's survey, 90% of small business owners reported paying increased health plan premiums at their most recent renewal. Rising health insurance costs prompted slightly less than half of the respondents to defer salary increases. If small businesses are to remain competitive they should take every opportunity to deliver the most appropriate health insurance policies to their employees at the lowest possible cost.